There are various minimum down payment requirement mortgage loan programs for home buyers. 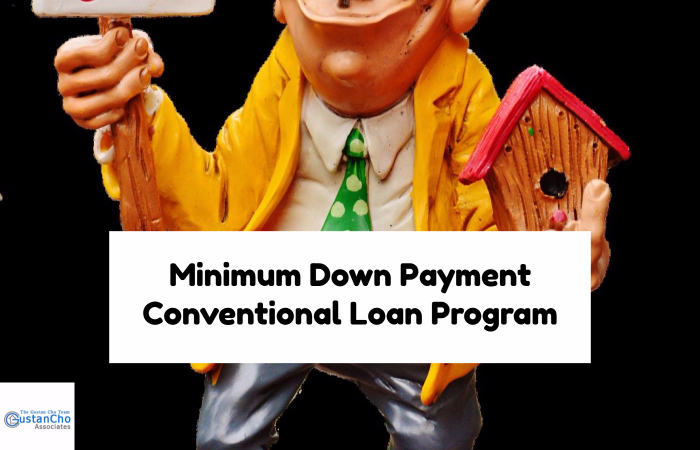 Most minimum down payment conventional loan programs are the 5% down payment program. First time home buyers can qualify for 3% down payment on conventional mortgage loans. Mortgage insurance premium is required on all conventional mortgage loans that have more than an 80% loan to value. LPMI stands for Lender Paid Mortgage Insurance. Borrowers who are interested in 3% or 5% minimum down payment conventional mortgage loan program with no mortgage insurance premium, contact Gustan Cho Associates at www.gustancho.com . Mortgage applicants can also apply online at www.gustancho.com by clicking the APPLY NOW icon on the top right of this website.